Raised Timber Bed Kits for families who love to Grow! 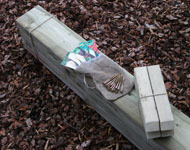 Ready-made Raised Timber Beds delivered to your door and ready to Grow! 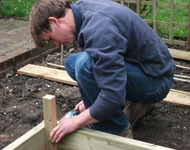 One of our friendly team assembling a raised timber bed kit. Here you can order Raised Timber Bays, Compost and TopSoil and pay online - safely and securely - through PayPal. 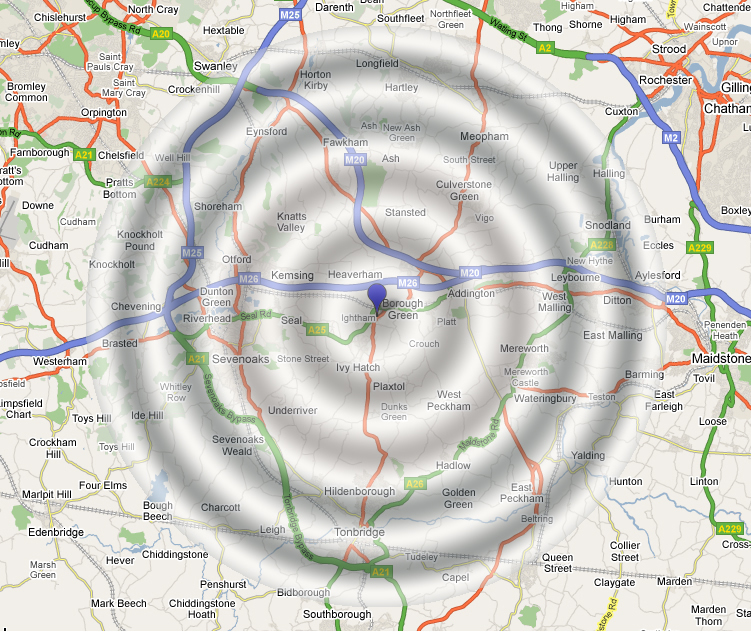 All prices include VAT and the standard delivery charge is £15 to customers within a 10 mile radius of us (see map). If you are further than 10 miles from us at TN15 6PA please contact us directly to arrange delivery. Although we'll send full assembly instructions with each order, if you would like us to come and assemble your new timber bed(s) in your garden please place your order and then email or call us on 07880 725 885 to arrange a date. Select from the drop-down menus below and click on "Add to Cart". This will take you to PayPal's secure shopping basket page where you can change quantities and then return to this page to continue shopping. Once you are ready to confirm your order click on "View Cart" below and proceed to checkout. We do not receive any credit card details from PayPal so you can be sure that your details are safe. We hope that you will find ordering from us quick and easy but if you do have any questions please don't hesitate to give us a call. 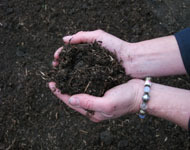 Simply choose the timber bay(s) that you are buying we'll send you the right amount of compost to fill it. Please take a moment to read our Terms & Conditions of Business before you confirm your order. We send out a free selection of seed packs with every order!